Desi thought it would be a good placement in a big city. But when she and her friend arrived at the local conference office, they were directed into a car for a three-hour drive. Then they transferred to motorcycles for a five-hour trip up a mountain. The road was slippery, and Desi kept falling off the motorcycle. When the road ended, the young women learned that they would have to hike another eight hours. But first, they had to stop by the local government office at the end of the road to receive permission to climb the mountain. Several people from Limbong were at the office, and they excitedly beat Desi to the village and announced the big news. When the young missionaries arrived, the villagers welcomed them with a traditional ceremony. A young chicken with black feathers and black feet was roasted, boiled, and offered to the visitors. The villagers themselves ate regular chicken. More important, she had no idea how to share her love for Jesus. She and her friend fasted and prayed for two days. They decided to call the campus of 1000 Missionary Movement, the organization that had dispatched them to the village. To get cellphone reception, they had to climb another hour up the mountain. The phone call went through, and a campus nurse advised the young women to mash a small papaya—seeds and all—with a regular-sized banana and feed it to Indo. The missionaries fed the papaya-banana mixture to Indo daily for 30 days. They also taught her not to eat unclean meat. When the month ended, the blood flow had stopped and Indo was her normal self. The other villagers were amazed and asked the missionaries to care for their ill relatives. The missionaries relied on much charcoal and prayer. The villagers appreciated the assistance, and they offered their own advice. One after another, they told the missionaries to stay away from a certain village house. “Don’t go there because you will be poisoned,” they warned. The missionaries ignored the advice, believing that the Lord had sent them to visit every village family. When they knocked on the door, a woman in her 30s greeted them with joy and immediately offered food and drink. Desi looked at the cassava and purple corn and turned to her fellow missionary. Desi asked the woman, known as Mama Wandi, if they could pray together before eating. After praying, the young women ate the food—and nothing bad happened. 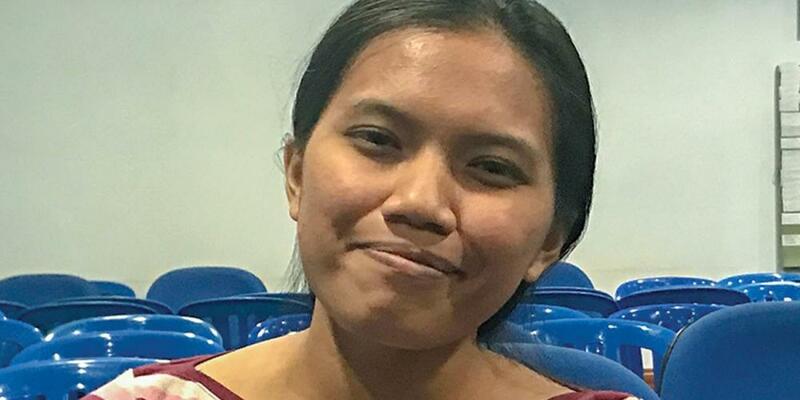 Desi is now 21 and an education and English major at Universitas Klabat, an Adventist school on the northern tip of Sulawesi island. She hopes to return to the village after she graduates and open an elementary school. She has visited the village several times since her yearlong stay, and she is thrilled that Mama Wandi is now studying the Bible. Thank you for your mission offerings that support the gospel work of missionaries around the world.